Give rest, O God, unto Your servant Ramon, and appoint for him a place in Paradise. Dr. Ramon J. Murphy, beloved pediatrician, fell asleep in the Lord, after a long battle with cancer, on March 4, 2019 at age 75, in New York City. He is survived by his wife, Dr. Lila Kalinich, daughter Jessica, son David, son-in-law Rex Gibson, daughter-in-law Elissa Murphy, four grandchildren, and a large extended family that he cherished. Dr. Ramon J. Murphy was member of the Mount Sinai Medical Center for almost fifty years. He founded Uptown Pediatrics and the Arnhold Global Health Center. During his career, Dr. Murphy was consistently recognized as one of the America’s and New York’s best doctors by Castle Connolly and New York Magazine. He spent more than 20 years working at the Mount Sinai Adolescent Health Center. During the last decade, Dr. Murphy also helped build the Mount Sinai Global Health Center, which evolved—under his stewardship—into the Arnhold Institute for Global Health. 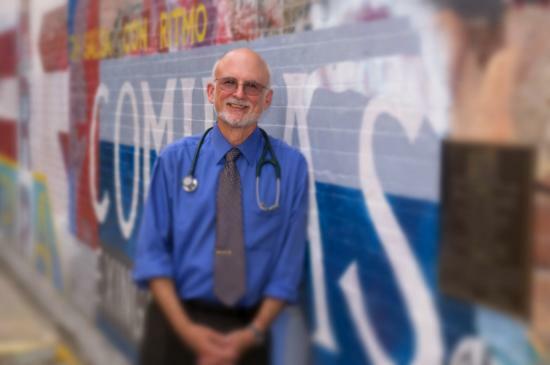 He served as Vice Chair for Voluntary Affairs in the Department of Pediatrics until 2018, before stepping down to focus on pediatric medical education for students and residents and helping to run Uptown Pediatrics. Dr. Murphy’s passion for improving health care for children in every corner of the world was demonstrated by his tireless efforts to promote global health. Since joining Mount Sinai in 1973 and founding Uptown Pediatrics, almost 40 years ago, in 1982. Dr. Murphy exemplified passion, dedication and commitment to improving the care of children of all backgrounds through hands-on family-oriented care, teaching, mentorship and leadership. During his tenure, Dr. Murphy won the hearts of many children and their families because of his high-level of medical expertise, his compassion, his energy, his humor and his impressive ability to connect with everyone he encountered. As such, Dr. Murphy is regarded as an extended family member of his Uptown family, his colleagues and the families of all of his patients. A loving husband and father, and a pillar in the pediatric community, he garnered numerous awards and prestigious achievements for his work in medicine and medical education, and for embodying the idea of a humanitarian pediatrician. In 2009, he was recognized by the Mayor of New York as a “Hero of New York”. Dr. Ramon J. Murphy was buried at Monastery New Marcha Cemetery, Richfield, Ohio. His Grace the Right Reverend Irinej, Bishop of the Serbian Eastern American Diocese, officiated the funeral service and offered the eulogy. Many priests from New York, Ohio and Pennsylvania took part in the funeral service. The Repast Meal was served at St. Sava Cathedral Hall in Cleveland, Ohio, where his longtime friend and priest, the Very Rev. Archpriest Alexis Vingradov offered his reflections. Dr. Lila Kalinich, daughter Jessica, and son David extended gratitude to all who participated in prayerfully and lovingly escorting her husband and their father into Life Eternal. Donations in memory of Dr. Ramon Murphy are to be given for Building Fund of St. Sava Serbian Orthodox Cathedral, 16 W. 26th St, New York, NY 10010 (https://stsavanyc.org/).